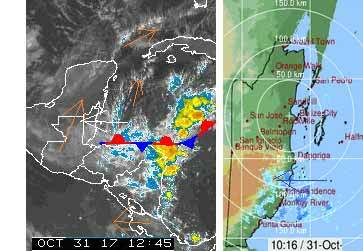 Belize NMS: Relatively moist conditions affecting mainly southern parts of the country. 24-hour forecast: Variably cloudy with a few showers or periods of light rain mainly in the south this morning, decreasing this afternoon and tonight. General Outlook: For Wednesday and Wednesday night is for mainly fair weather with only isolated showers. Today E-NE 5-15 kts Choppy-Moderate 3-5 ft A few showers or periods of light rain in the south this morning, decreasing later. Tonight E-NE 5-15 kts Choppy-Moderate 3-5 ft Isolated showers. Tomorrow E-NE 5-15 kts Choppy-Moderate 3-5 ft Mainly fair with isolated showers. Outlook N-NE 5-15 kts Choppy 3-4 ft Isolated showers. 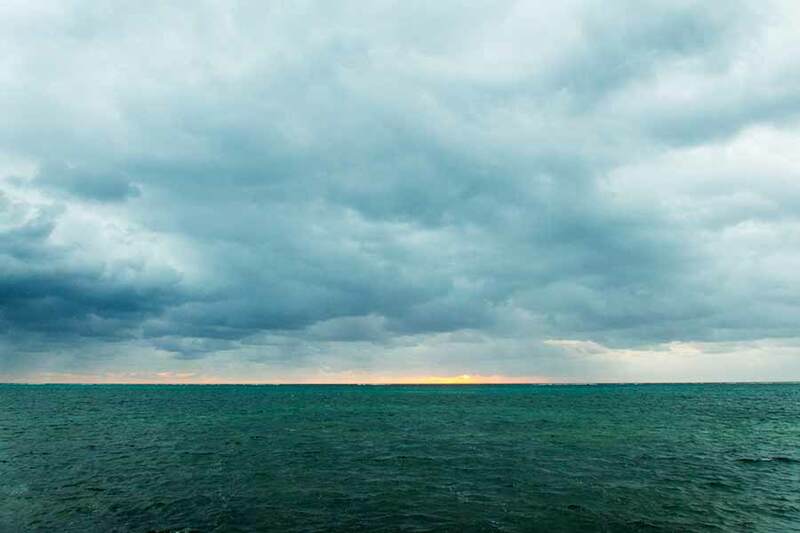 On Ambergris Caye this mornings sky is overcast with sprinkles of rain. The wind is now from the North-East at 12 mph. Our expected high is 82 f.
The easterly Caribbean wind is returning and pushing the cool air away. There is some high level cloud from the SSW clashing a bit along the coast and causing a little rain down south. The general weather returning to normal for this time of the year. 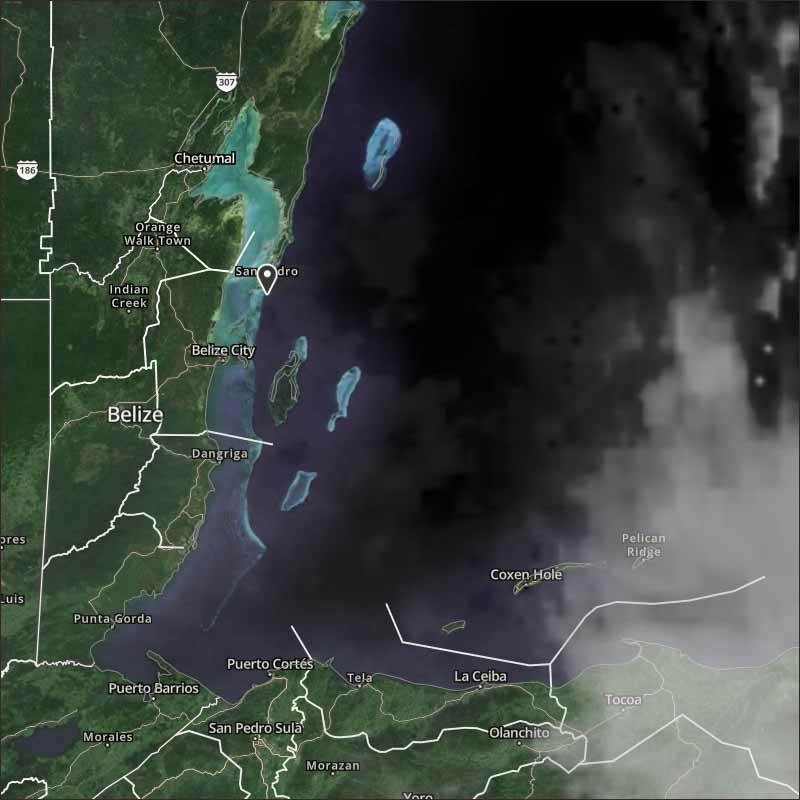 The more detailed navy picture, is not available, the Navy site was working this morning, but failed just as I was doing this weather report, and the Belize rain radar appears stuck on about 4 hours ago. Looks like today will be a mixture of cloud and sunshine, and a risk of some rain.